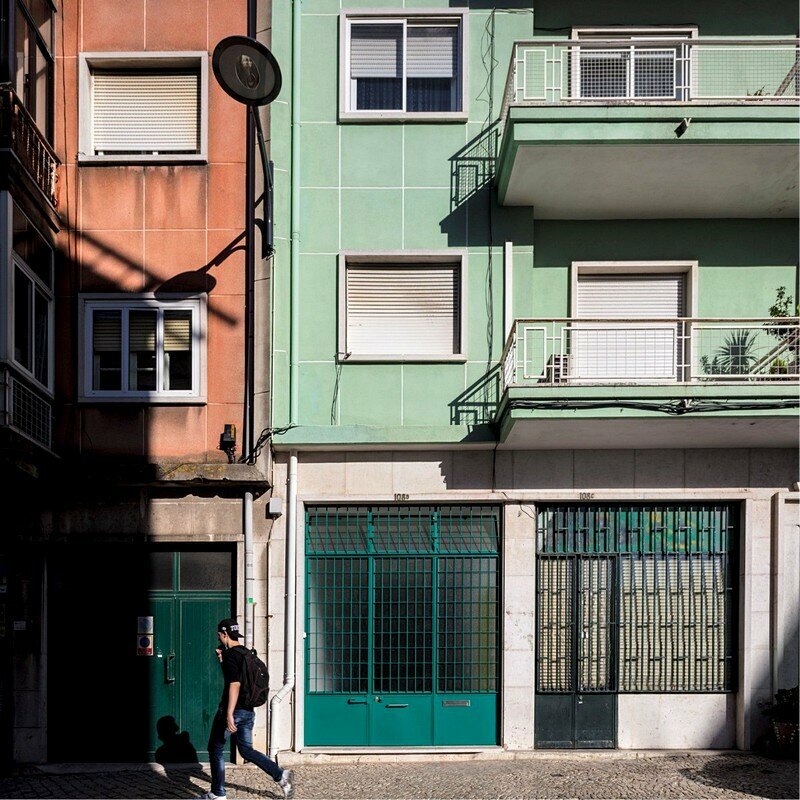 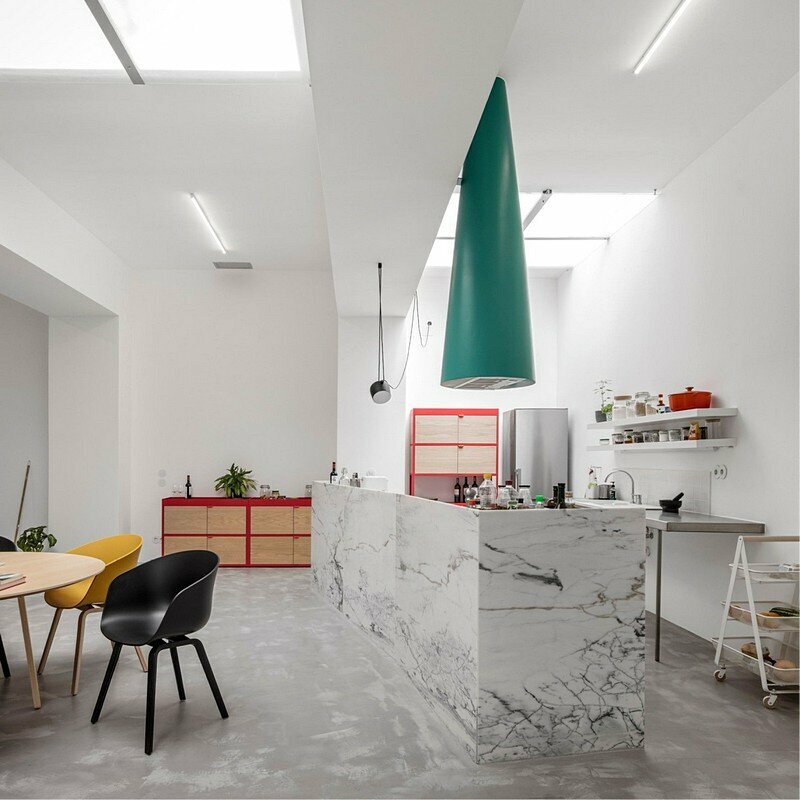 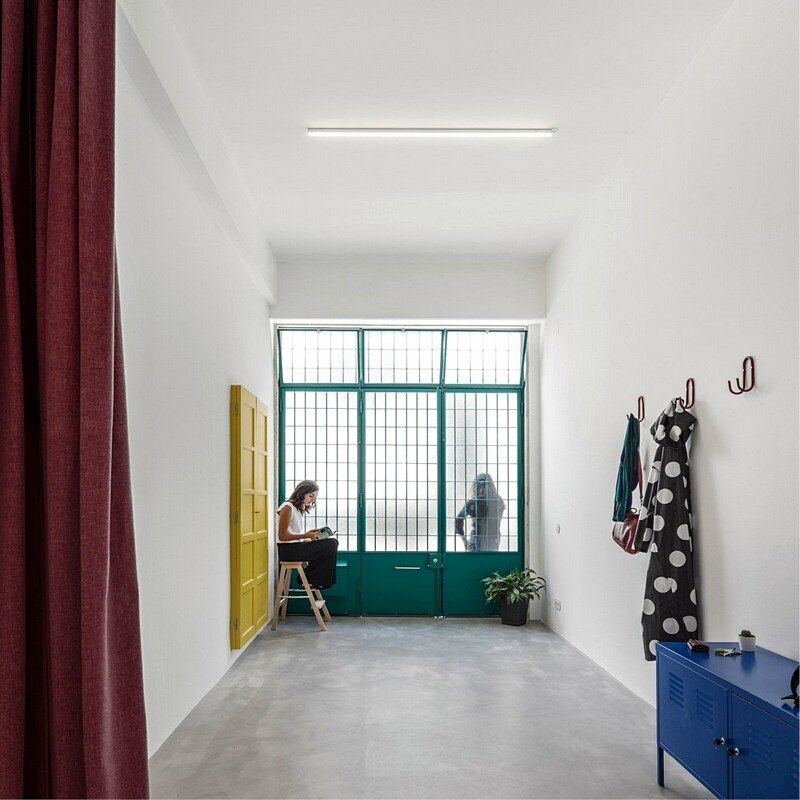 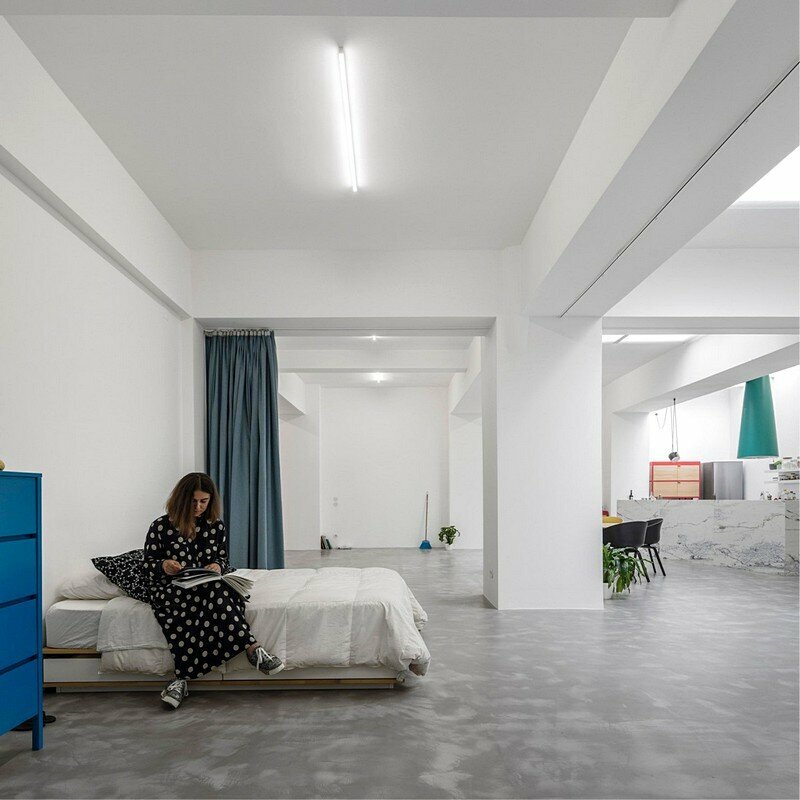 Portuguese studio Fala Atelier has completed the rehabilitation of a small windowless garage into a home for a young couple. 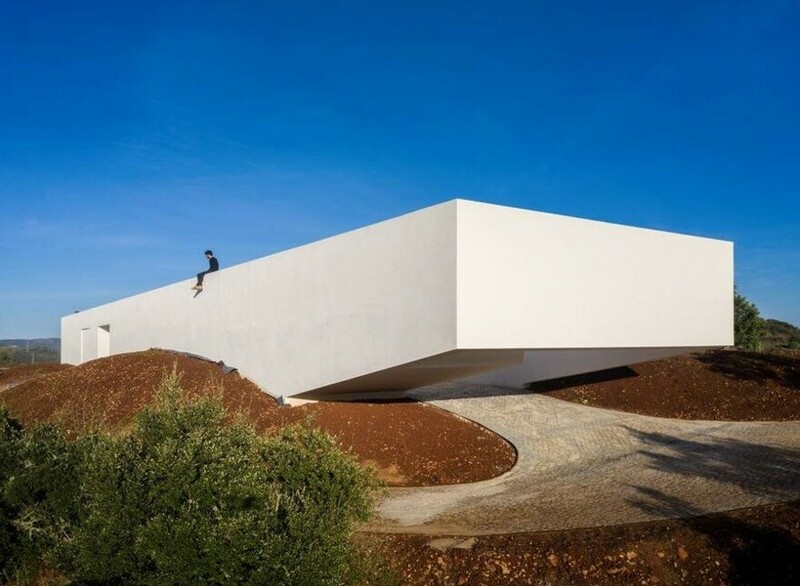 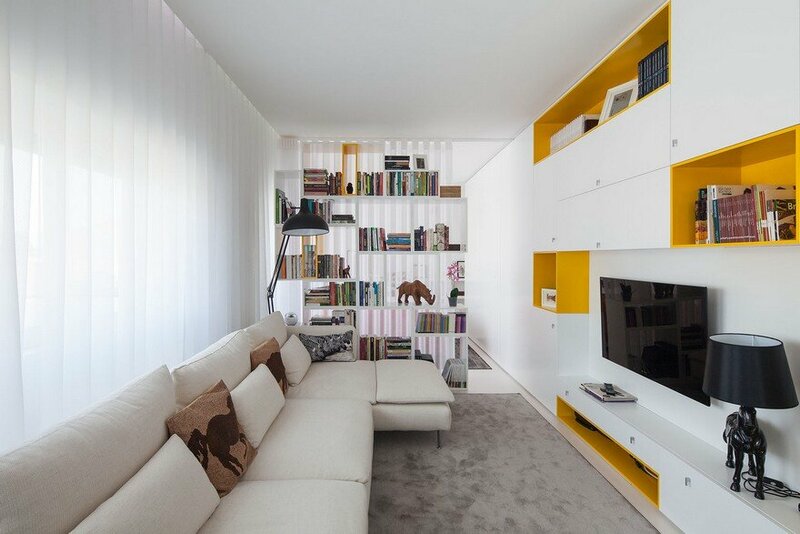 Garage House is located in Lisbon, Portugal. 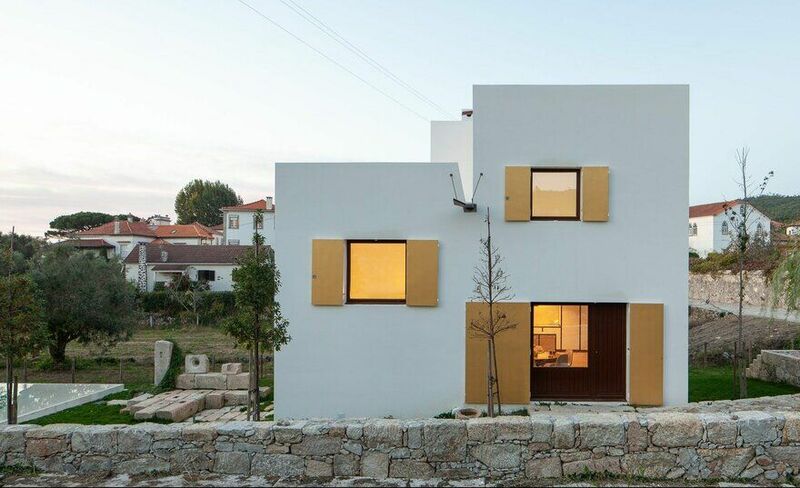 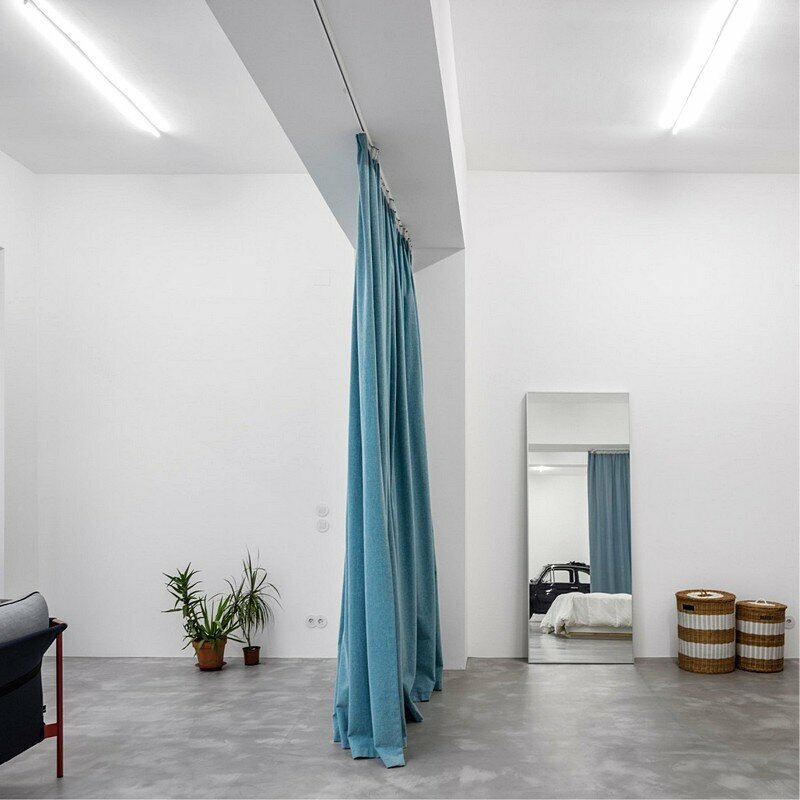 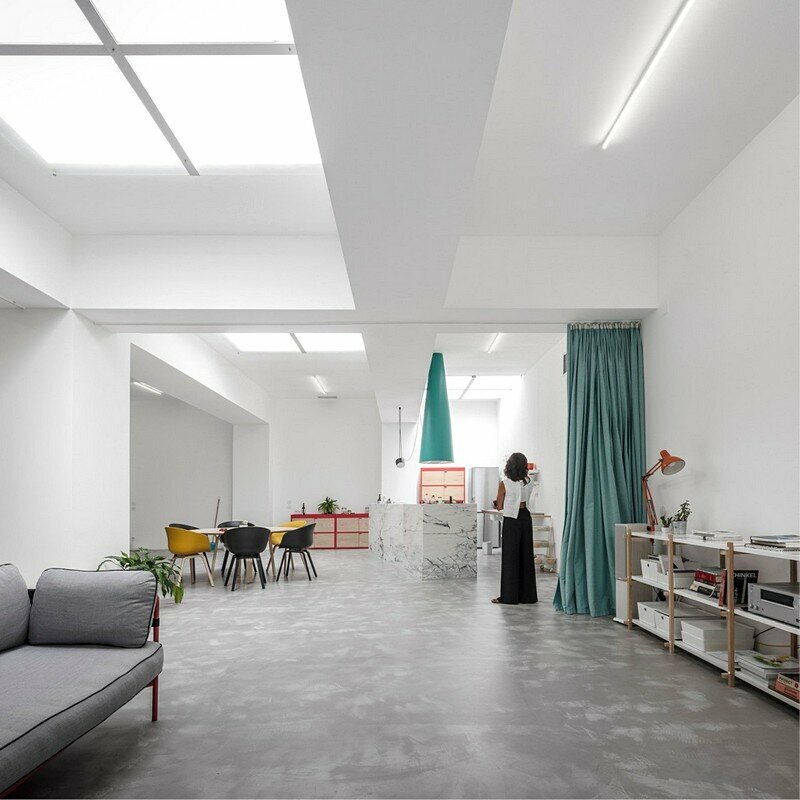 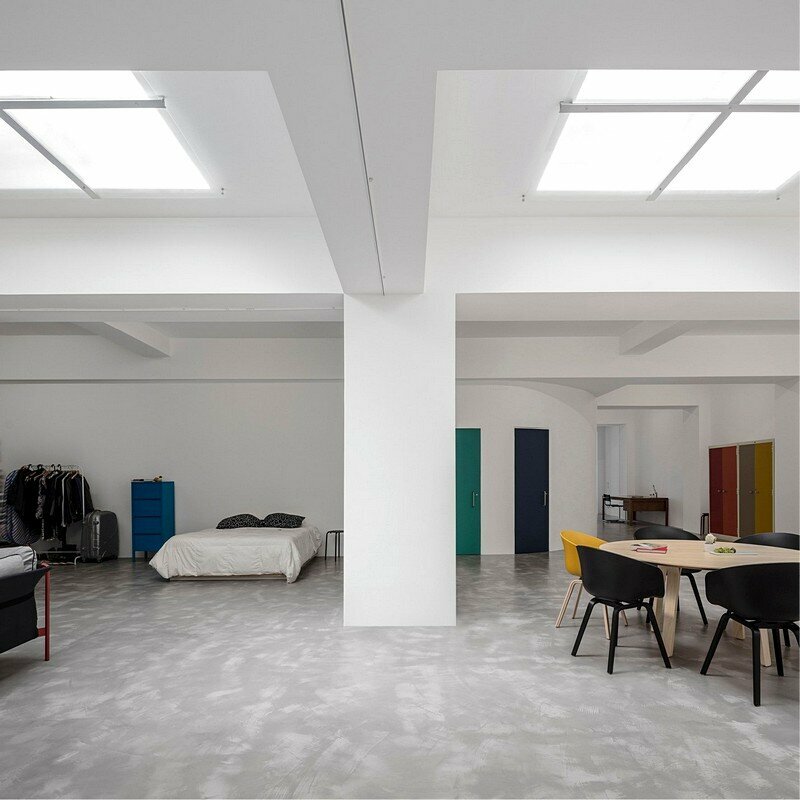 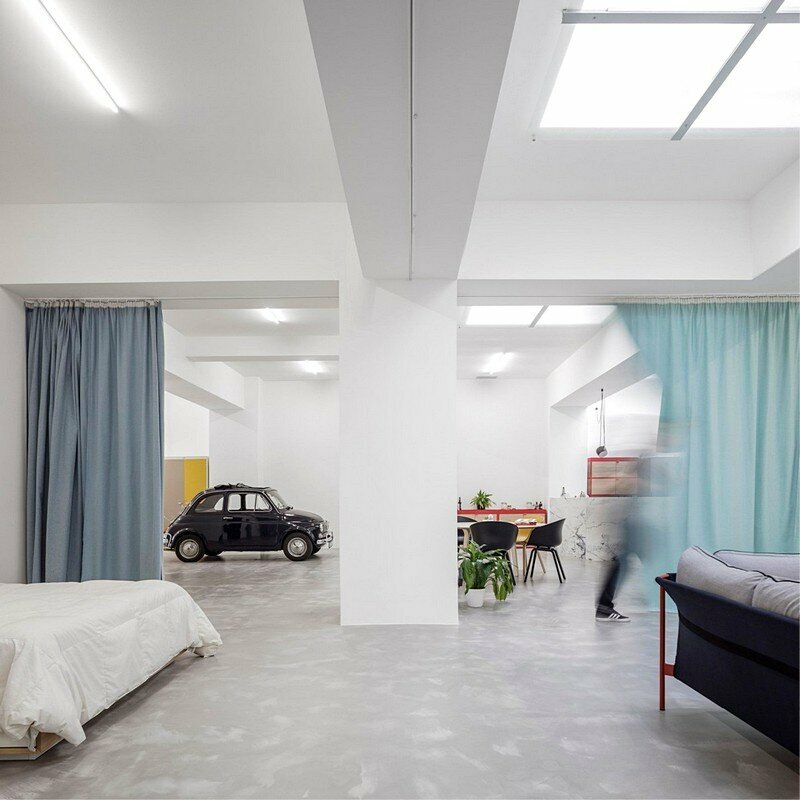 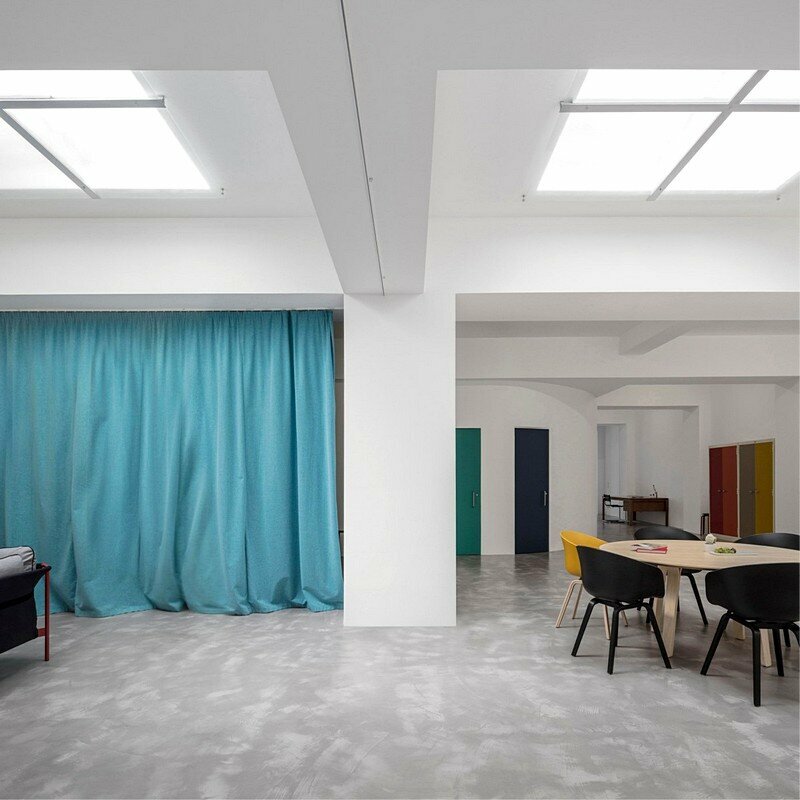 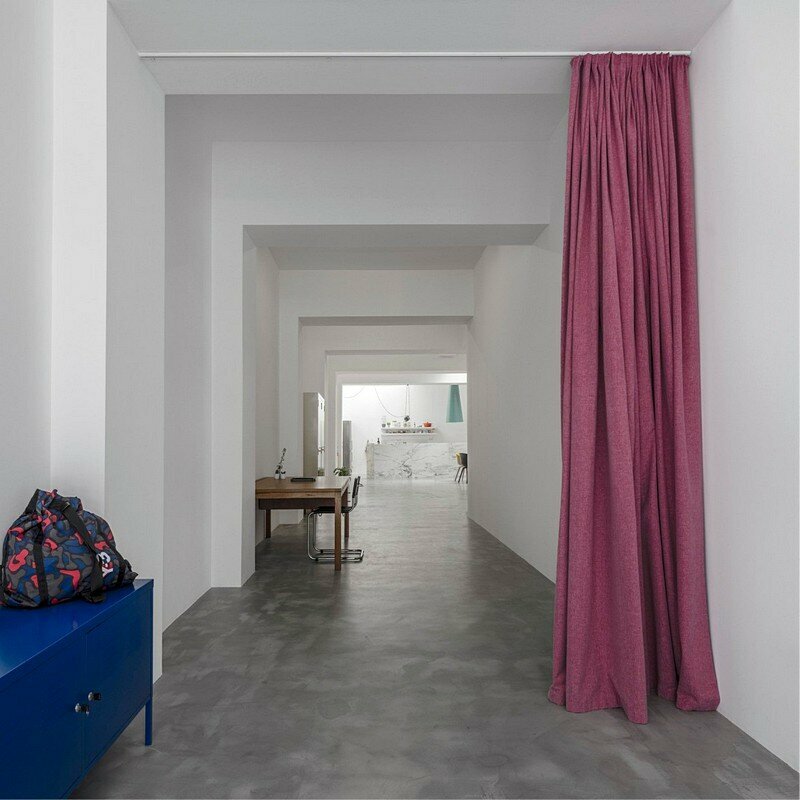 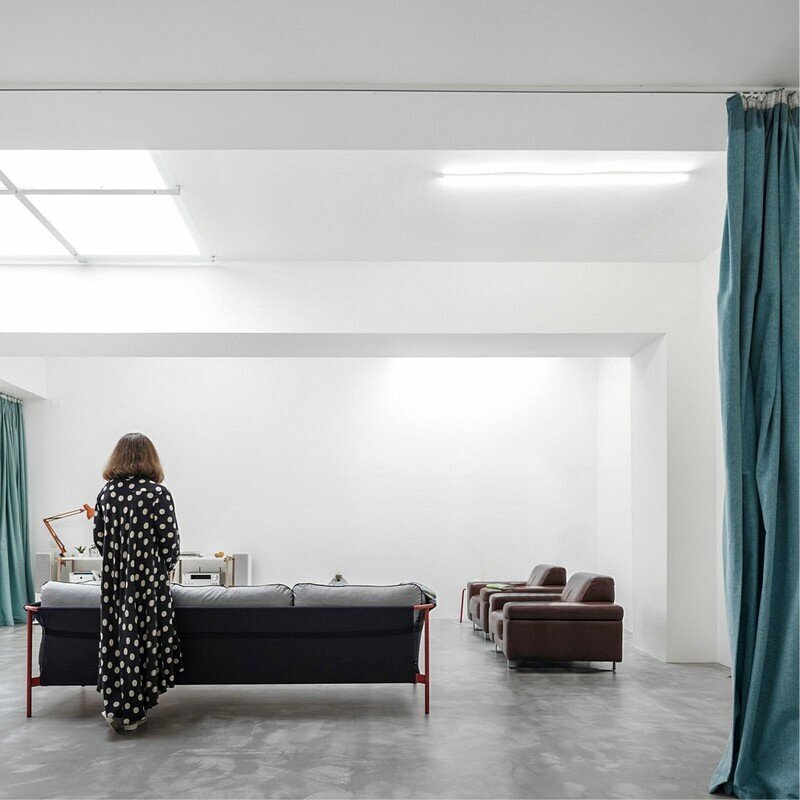 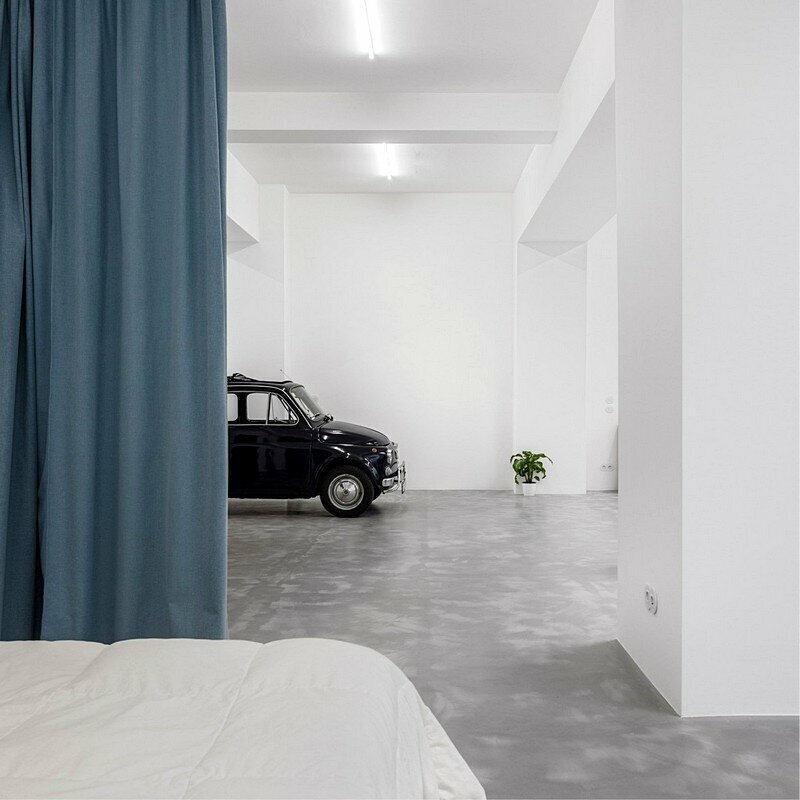 From the architect: The project started with an unconventional request from an open-minded couple: within a very tight budget, to convert a windowless 200m2 [2,150-square-foot] garage into a house. 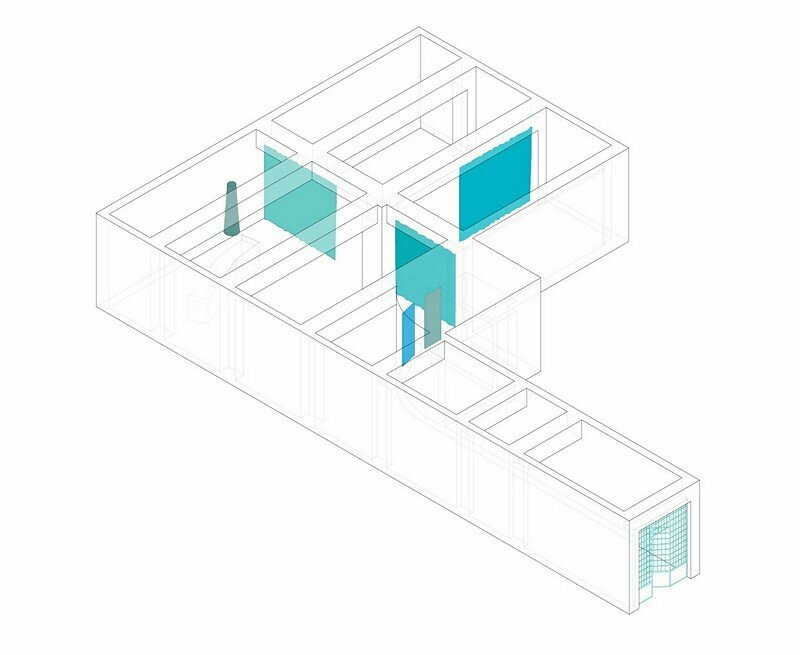 The proposed intervention intended the clearest reading possible of the existing structure, emphasizing its strength. 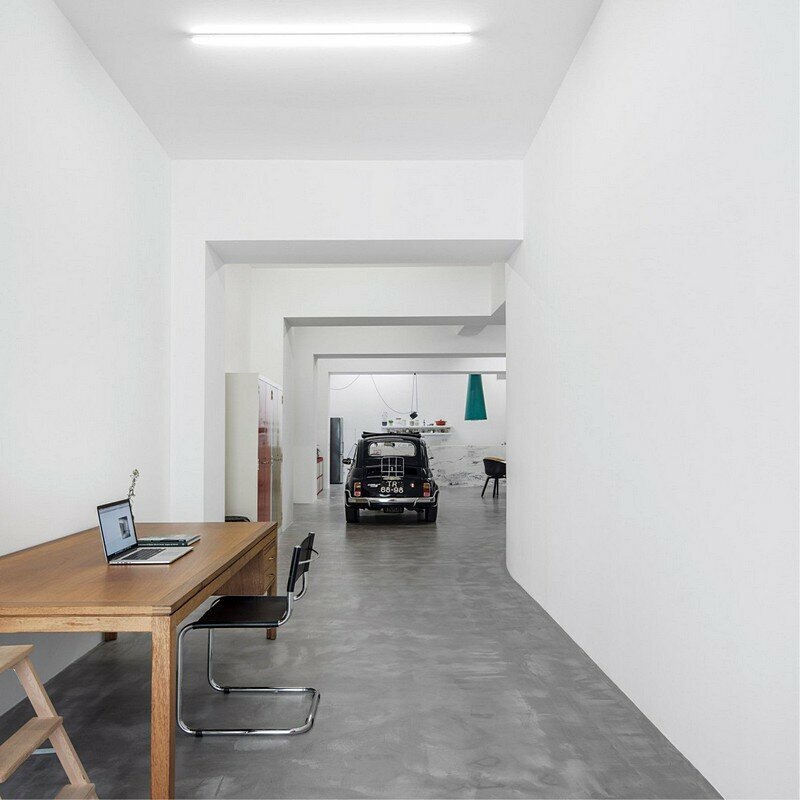 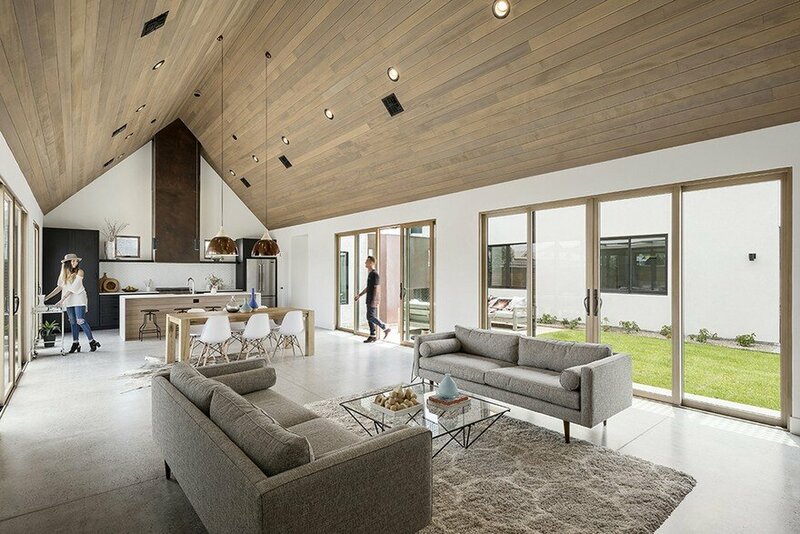 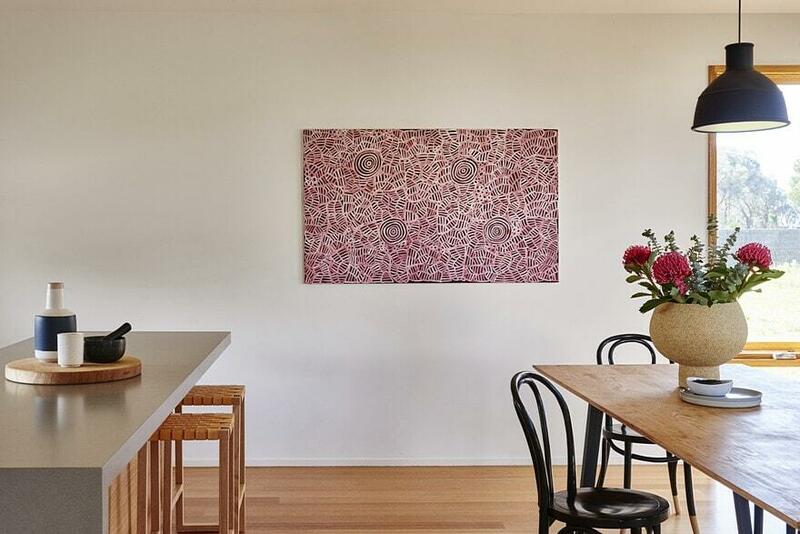 While the garage was careless and grey, the house is clean and white; its materiality is flat, its light is abstract. 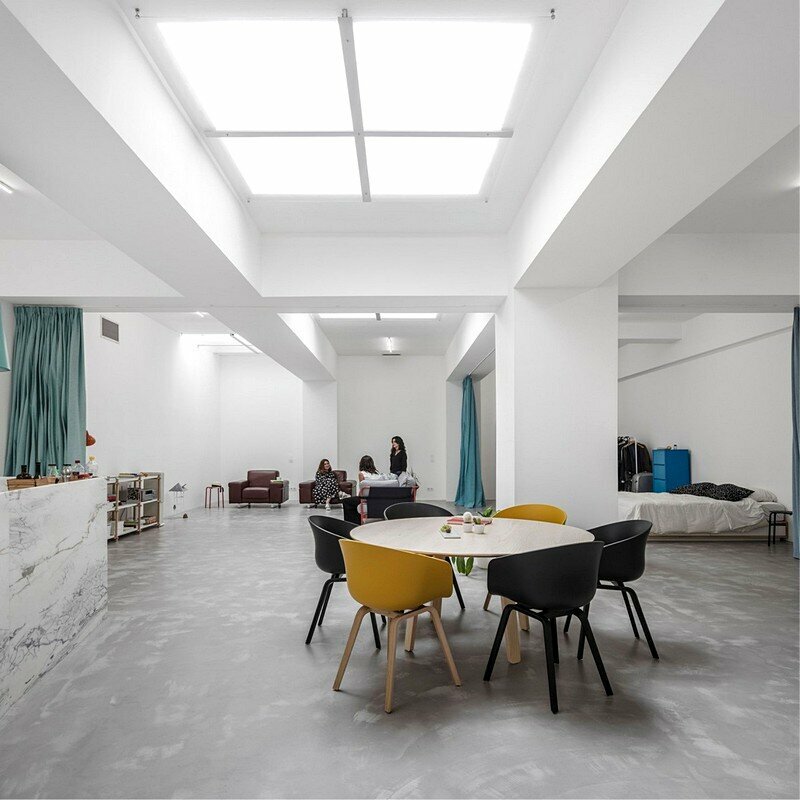 Two generous bathrooms were included behind a curved wall, where a broken corner was before; the walls and ceilings were painted in white and the floor covered in a continuous polished concrete surface; the existing skylights were rethought. 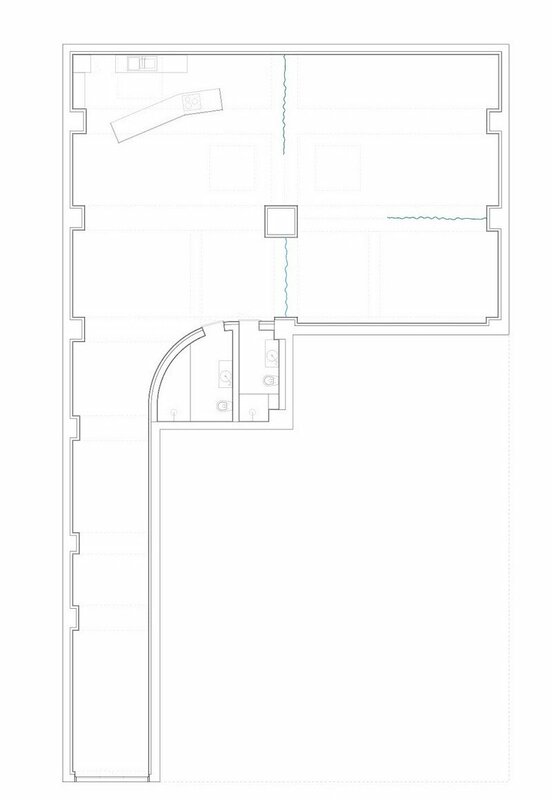 No other change felt necessary. 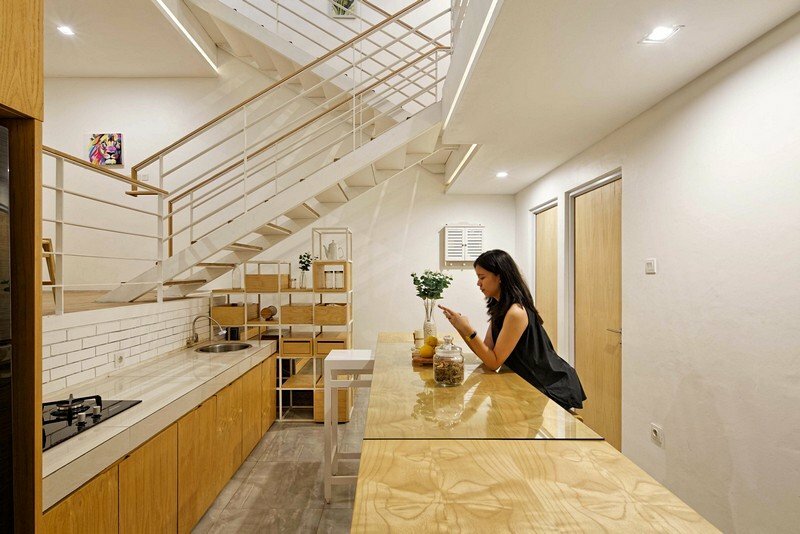 Carefully placed elements organize the living areas: a marble kitchen, curtains, potted plants. 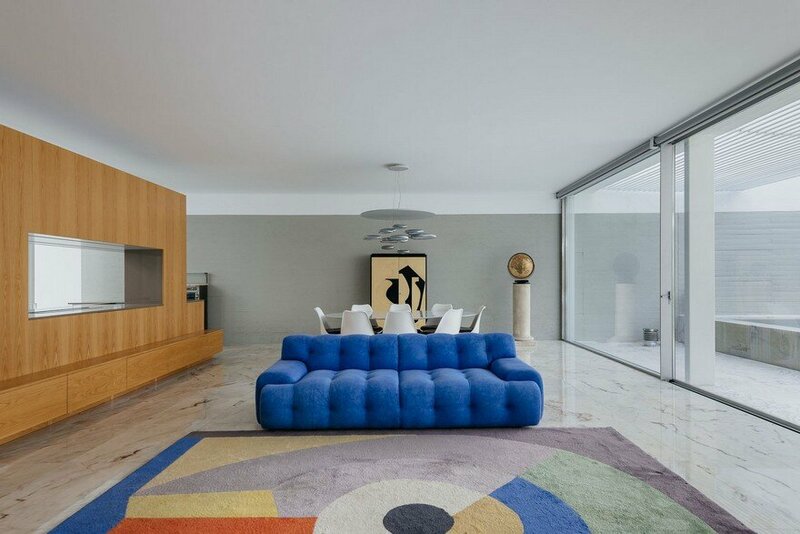 Along with the furniture, the freestanding elements carry the flexible identity of the house, hinting its domesticity while punctuating the abstract volume with color.